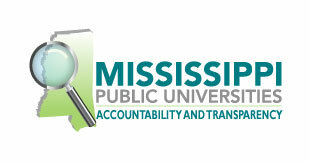 The Chief of Mississippi Valley State University's Police reports directly to the Vice-President Of Student Affairs. The Chief assumes command of all police staff members; directs the work of police personnel; observes the efficiency of the police officers, and instructs them in the performance of patrolmen duties; takes personal command of the patrolmen organization in times of emergencies; supervises investigations; and coordinates the work of the Police Force members on their assignments. The University Police Department is located on Rosa Parks Avenue. Officers of the force are vested with the powers and authority to take such action as is necessary to enforce University rules and regulations, including the arrest of violators. The University Police Department is responsible for the general welfare, protection, and security of the students and faculty of the University. In this respect, it is particularly concerned with the following responsibilities; (1) the enforcement of campus regulations governing the parking of automobiles and traffic violations; (2) the maintenance of sound security measures of properties belonging to the University; and (3) the enforcement of rules governing standards of conduct.